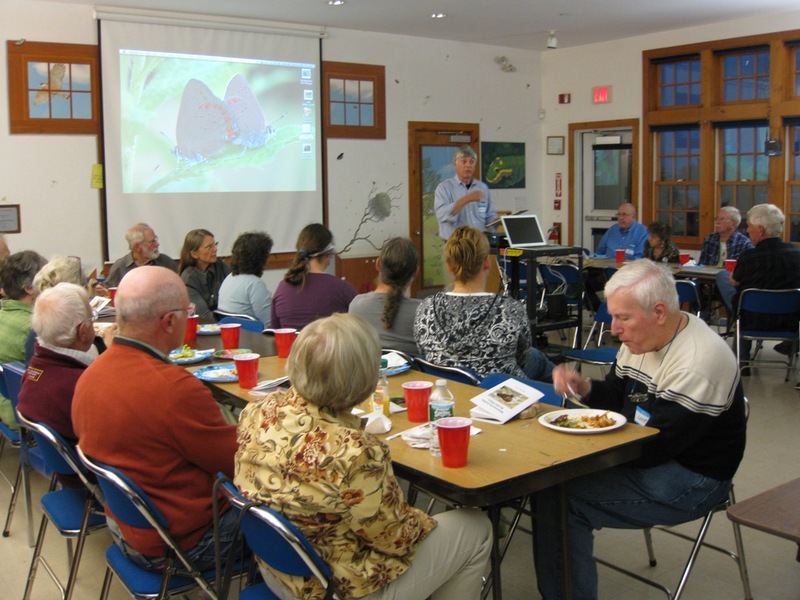 The Massachusetts Butterfly Club's Fall Meeting was held on Saturday, October 19, 2013 at the Broad Meadow Brook Conservation Center and Wildlife Sanctuary in Worcester. 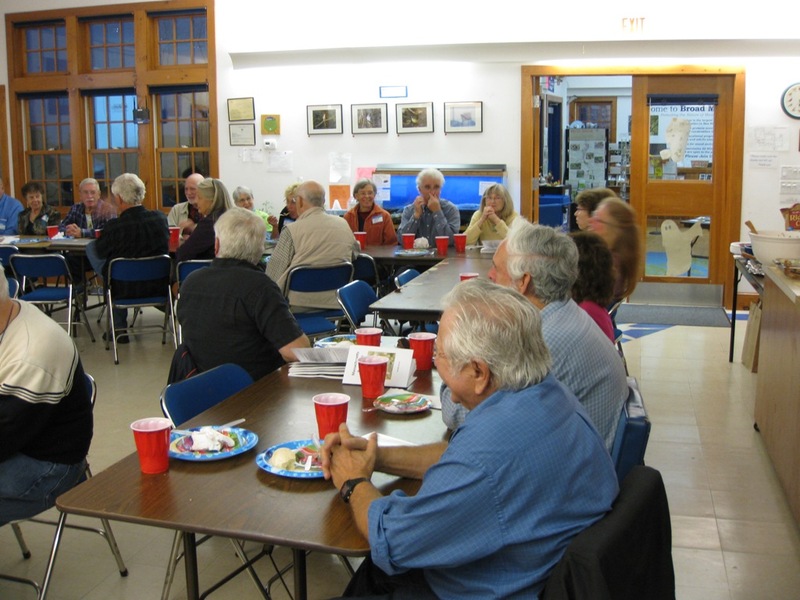 Everyone enjoyed the pot luck dinner which had plenty of great appetizers, entrees and desserts. 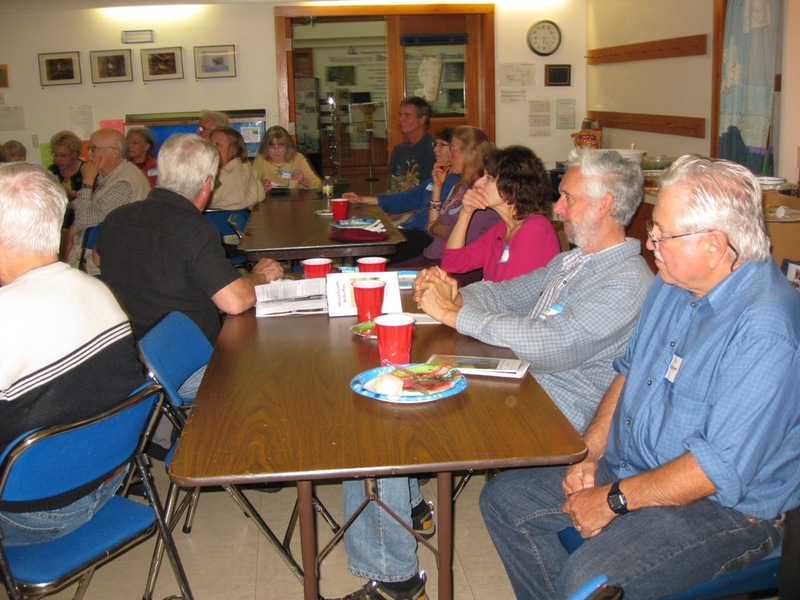 Special thanks to Bill and Joe for making the potluck work so smoothly. 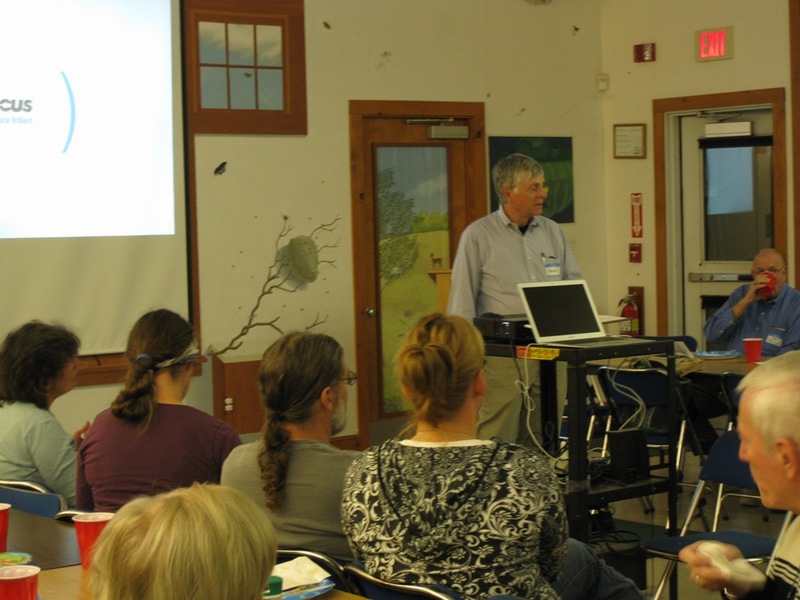 The program began with a talk and slide presentation by Greg Dysart. 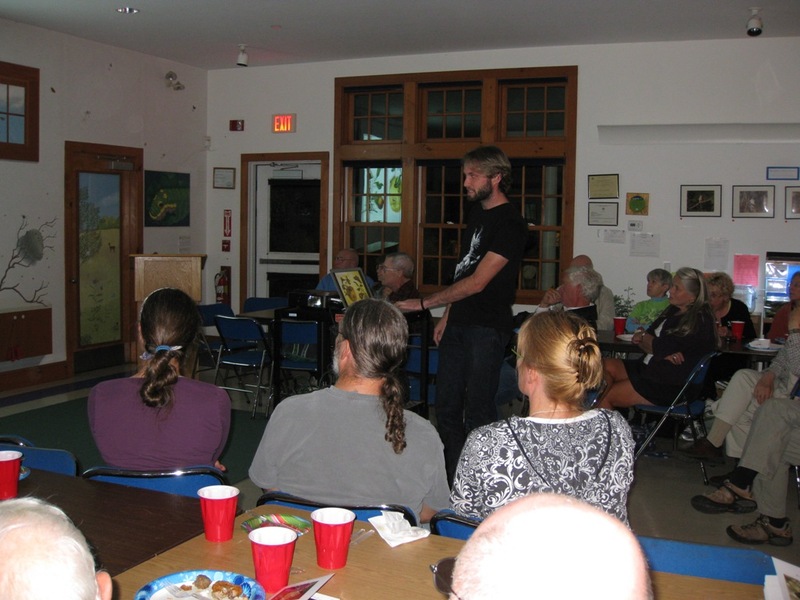 His presentation included many excellent digital photographs of butterflies which he uses to advocate good land management practices. 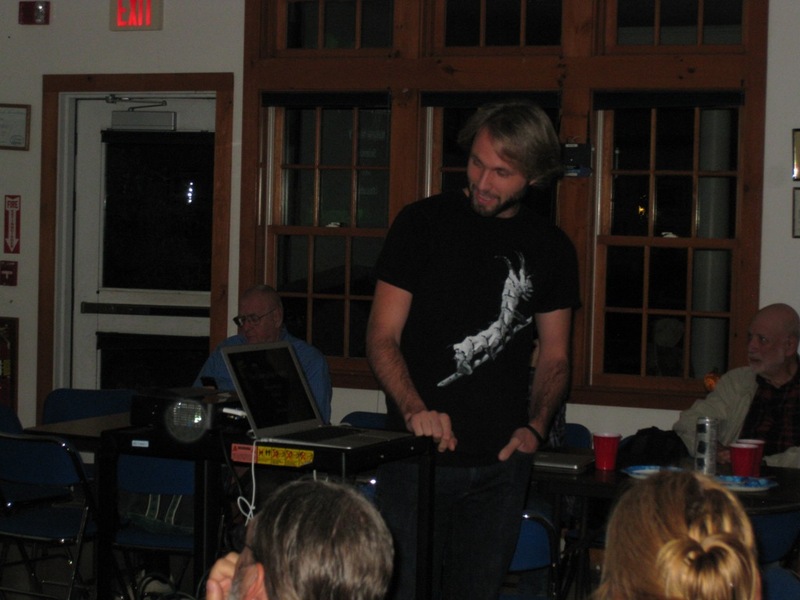 He was followed by our featured speaker, Sam Jaffe, who presented a slide show and talked about his caterpillar project. 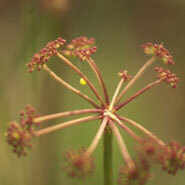 He spoke of caterpillar behavior and defense mechanisms as well as caterpillar finding, identification, and rearing. 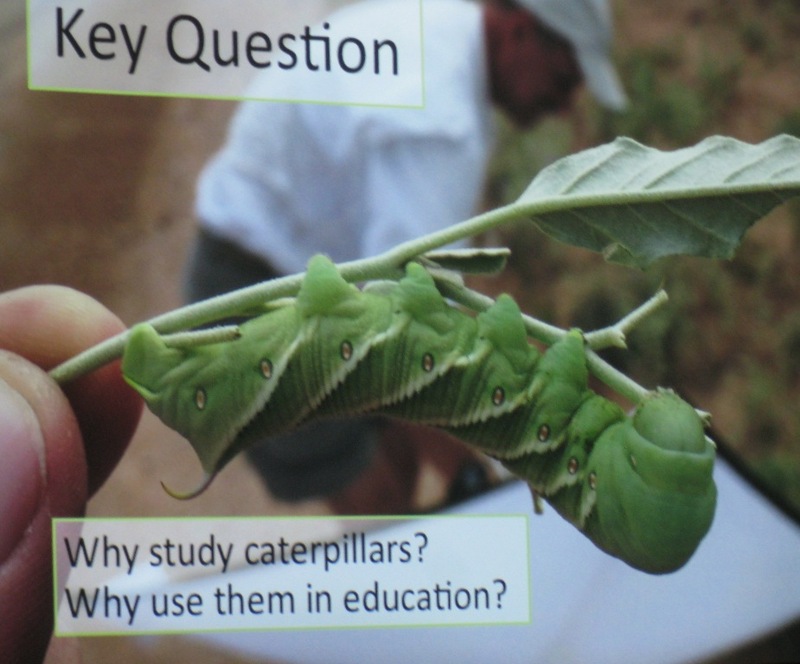 In addition, Sam discussed how he has incorporated caterpillars into educational programming and curriculum in the hopes of fostering a new generation of aware and passionate naturalists. Sadly, photographic evidence of the meeting was minimal.